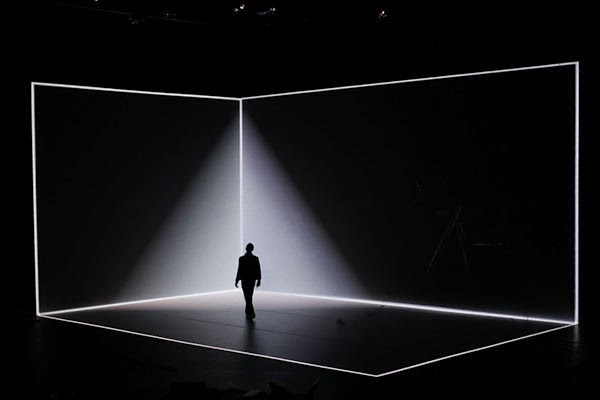 A dance performance using projection mapping in an immersive environment designed for three dancers. The dancers play with the computer-generated images with the addition of a score performed live by a digital interpreter. The first production will be shown at Théâtre de L’Archipel in Perpignan, France on October 7. The Adrien M / Claire B Company has been acting in the fields of the digital arts and performing arts since 2004. They create many forms of art, from stage performances to exhibitions combining real and virtual worlds with IT tools that were developed and customised specifically for them. The company operates as a research and creativity workshop based out of Presqu'île in Lyon.